Let’s talk hypothetically for a moment and say you get a free wish. Go ahead, it’s on me! What are you going to go for?
. A wealth of riches? Or how about a swimming pool full of gin?…Ah. Now, perhaps I can help you out on that one. You see, I was recently invited back in to the ‘Gin Festival’ fold for another year of gin swigging schinanigans in the capacity of ‘Official Blogger’ (a tough job, but someone had to do it!). 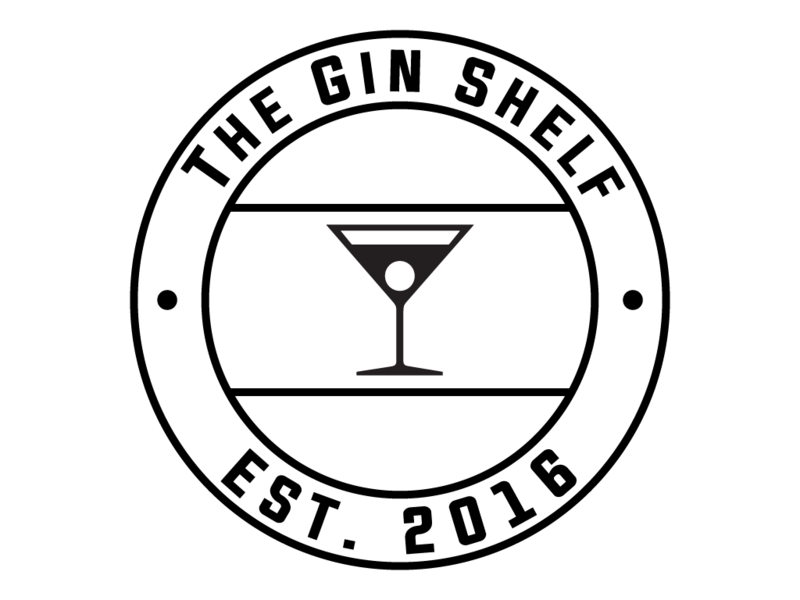 And having covered the teams exploits at the Blackpool Tower Ballroom in 2017 (which you can find here: https://theginshelf.uk/2017/03/25/gin-festival-blackpool-tower-ballroom/) I was thrilled at the prospect of being involved again. And my excitement kicked up a notch when I was offered free reign over my choice of venue…ladies & gentlemen, I was off to Manchester; welcome to Victoria Baths. Quite literally, a swimming pool full of gin! Let’s get this straight. The Blackpool Tower Ballroom was, and is, a stunning venue. But nothing can quite prepare you for Manchester Baths…originally opened in 1906, the historic Mancunian swimming pool is now a restoration work in progress. Managed by local charity, the Victoria Baths Trust, it’s open from Spring to Autumn as a heritage visitor attraction and arts & community venue with guided tours and open days on offer. The ultimate aim is to one day reopen the venue in all its glory as Turkish Baths & a swimming pool for public use. Upon entering the venue, I was handed my ‘Gin Festival’ tote bag, branded Copa glass, festival guide book (containing a comprehensive bar/gin menu, signature serves & cocktail recipes to try at home and brand deep dives) and press pass, and directed to the good stuff! The original tiling, stained glass windows and wooden staircases are breathtaking- almost like being transported back in time. The original changing areas still encase the rooms, adding a historic charm to the feel of the space (though the tiny curtains to protect your modesty would suggest very little would be left to the imagination if you fancied a ‘Mariah’ style costume change mid festival!). There’s no doubt about it that this is simply a fantastic venue for a festival! Though, one thing I would learn during my time in Manchester was that Victorian swimming baths were never big on central heating…it was freezing! This was ‘Gin Festivals’ 6th visit to Manchester, on the second weekend of their ‘double header’, where the team were expecting to welcome 7,650 gin-lovers across 9 different sessions. Phew! If that doesn’t call for a lifeguard, I don’t know what does. It was time to pull on the budgy smugglers, blow up the armbands and hope I wasn’t leaving with a verruca. I was going in! Glass in hand, and metaphorical pen at the ready, I am informed that the main event space sits between two original swimming pools. The main auditorium contains the majority of the gins available to order in their respective gin & tonic and perfect serve forms. Here you can work your way through the menu of bars A – E, finding amongst the offerings some firm favourites, as well as some you may not have heard of before! And if you’re after something a little more exotic, a special cocktail bar is up & running, ready to ply you with some ‘Gin Festival’ original recipes! Swimming pool number one is where you can find the street food & music, which I’ll return to shortly, whilst swimming pool number two is where you might find one or two gin brands ‘floating’ around. What ‘Gin Festival’ have done brilliantly well this year is the no cash/token system. Gone are the days of having to mess around with pound coins, plastic chips or having bits of card stamped. Instead, simply top up your electronic wristband & allow the team to scan your barcode in exchange for the beverage of your choice. And if you’re really techy, you can set up your account & upload your moolah from home to beat the queues completely! Let me address the elephant in the room, as it hit me as soon as I arrived; Schweppes. The 1783 range on offer here is ‘all natural’ vs the classic plastic bottle versions you may be used to, which contain the artificial ‘nasties’. The ‘1783 Crisp’ tonic now uses sugar cane from the West Indies, while the light uses Agave syrup from Mexico, with half the sugar. The quinine flavours are far more subtle, which aims to enhance the gin, rather than overpower it with bitterness. And I must admit to being pretty impressed, particularly with the light variety. This seems to be an attempt to rival the premium mixer brands, Fever-Tree in particular, and whilst my overriding feeling at the time was that this was perhaps a late attempt and ‘trying too hard’, the updated branding, bottle and ingredients do make a case for a revisit. And make no mistake, whilst self proclaimed gin aficionados will find the Schweppes effect a difficult reputation to shake, the history & heritage behind the brand mean that the British classic should not be overlooked. After topping up my wristband with complementary credit, just to make sure I was able to complete my duty bound ‘research’, we headed straight for swimming pool two, to ‘meet the makers’. First up on my hit list, as I waded through a mass of gin enthusiasts in the shallow end, was Kuro Gin. Director & Founder, John, was on hand to pour the samples and was only too happy to talk passionately to me about his gin. He describes it as being a ‘Japanese inspired’ gin, conceived following a weeks skiing trip to the Japanese Alps with his fellow founder. Bringing a contemporary twist to the classic London Dry, Kuro’s botanicals see the inclusion of black bamboo (‘Kuro’ being the Japanese for Black), silver birch and spruce, to provide a piney and aromatic flavour profile. Now purists would be quick to tell me that this isn’t a ‘craft gin’, being that it is a byproduct of the infamous Midlands ‘Langley Distillery’. But then, I’d retort that nobody ever claimed that it was! Indeed John, and enigmatic brand ambassador Angus, are more than happy to talk openly about how they delegated the actual distilling to the experts, to harness their experience & keep operating costs down, instead providing a carefully curated recipe card to meet their exacting specification. What you do get from John and the team is a real sense of energy, with a great deal of pride in what they’ve created. What may have started as an apres-ski fuelled idea, is now beautifully bottled and working its way towards the upmarket shelves of the high street. Bringing a splash of fruit to proceedings were PJ Gin, hand crafted at the Craft Spirits Company in Antwerp, Belgium, by master distiller Pieter-Jan. Developed using a slow distillation technique, and his own unique charcoal filtration process, PJ has gone on to create a whole range of flavoured gins. The gins purposely avoid complexity in their make up of botanicals, instead seeking to focus & emphasise the profile of their specified flavours; Elderflower, Apple & Raspberry. At this stage, I’ll be 100% honest with you. I’m not sure that the range is for me. I did enjoy the Apple gin, paired with ginger ale, and was impressed by the Raspberry gin – packed full of flavour and massively complemented by a light tonic to pull the sweeter fruit flavours forwards. But to my pallet, the Elderflower gin was lost as soon as a mixer was added. This is a slightly sweeter style of gin, and whilst perhaps not to my taste, what I really like is that they are both approachable and accessible, acting as a great gateway for those wanting to get in to the category or explore different options to the standard London Dry style. And based on the reaction we saw on the day, the PJ range is stirring excitement & intrigue alike. Back at the Ballroom in 2017, one of my gin finds of the festival was ‘Tinker’ – a gin that I declared ‘a triumph’ that ‘I could happily drink all day’. And the truth is…nothing has changed! I still adore Tinker Gin and have spent the last twelve months waxing lyrical to anyone who’ll listen, as I thrust an adult size portion of the gin in front of them! So imagine my childlike glee to find the Tinker stand prominently positioned in the brand pool, with samples flying out faster than you could say ‘can I have a sample please?’! Created by Gin Festivals very own founders, Jym and Marie Harris, and the baby of a successful crowd funding effort, Tinker is now well over a year old. And if the baying crowd is anything to go by, it continues to go from strength to strength! Taking inspiration from a Spanish style of distilling, Tinker combines juniper, coriander, orange, lemon, cassia, cinnamon, orris, angelica, liquorice and nutmeg. But it’s the addition of elderberries that makes this a standout, replacing any potential bitterness with a delightful finish of summer fruits and black currants! Served alongside a generous wedge of pear, this is the equivalent of having sunshine in a glass & ensures a perfect serve every time. Since my last visit, the team have welcomed a strawberry variation to the family (it’s Tinker…but pinker), as well as kicking off another crowd funding initiative to get their Tinker Violet edition to market! If you fancy parting with some pennies to get your hands on a range of goodies in exchange, then be sure to check out the Tinker website & social media pages for more information ahead of its impending summer launch! They say ‘never swim on a full stomach’. But I say, ‘never gin on an empty stomach’. And I think that’s more important. And it’s a solid fact that hadn’t escaped the folks at Gin Festival, who more than have your back! Over at swimming pool number one we opted for ‘The Striped Pig’; a self proclaimed ‘meat boutique’, kicking out a range of stunningly good Anglo-American street food style burgers & baps, with a range of fillings, toppings and sides! The final verdict? My pregnant wife refused to share her chips with me because they were ‘too good to share’ and she was already eating for two. A glowing endorsement if ever I’ve seen one! And all of this is washed down with a perfect backdrop of blue grass, country, rock n’ roll courtesy of the awesome ‘Backyard Burners’; an energetic three-piece who demand your attention, smiles and toes to be tapping! The band were the perfect accompaniment to keep the vibe vibrant and the gin flowing. And so with our hunger for food suitably satisfied, it was our hunger for knowledge that we now found wanting. Luckily for us, Gin Festival serve up delicious lashings of expert master classes throughout each and every session, with brand ambassadors eagerly on hand to fill you up with their back stories, their raison d’etre and their gin (of course!). ‘Learning?! At a gin festival?! But that’s eating in to my valuable gin drinking time!’ I hear you exclaim. Well fear ye not my gin soaked amigos! First of all, the master classes are optional & each session is a mere 20 minutes long. That’s shorter than the episode of Emmerdale that I had to sit through when I couldn’t find the remote but was too lazy to get up and do anything about it (I’m still racked with guilt that I contributed to their ratings!). And if you do find they’re not for you, simply meander back to the bar and grab yourself a double! However, I have always found the Gin Festival master Classes to be the perfect mix between informative and fun. And this time round was no exception, staying for 3 of the classes. Our friends John & Angus were on hand to talk a little more of the detail behind the Kuro brand, as well as allowing the ‘class’ to take in a little more of their gin as the samples kept flowing! Oh, that’s right – I forgot to tell you, at this school you get to drink! (now I have your interest!). I was also really excited to hear more about Dingle Gin, a beautifully packaged Irish number that claims its gin is as pure as the air from the little piece of paradise it calls home. Although the team wouldn’t disclose the full recipe card, they were keen to emphasise their focus on locality in making Dingle, using rowan berries, fuchsia, bog myrtle, hawthorn and heather ‘for a taste of the Kerry landscape’. But my standout Master Class session, which should probably come with a ‘parental advisory warning’!, was delivered by Tinker’s very own Daniel Walsh. Sales, Brand Ambassador and all round Liverpudlian nice guy, Walsh oozes cool and was easily able to control a crowd that was becoming rapidly more raucous. His explanations of his own journey in to gin, the conception and ambitions of the brand & the tasting/serving notes of the gin are delivered in an energetic and accessible way, with the stories personalised with laugh out loud insights in to his own experiences. If you get the opportunity to hear Daniel speak, it’s not to be missed – a refreshing take on the category, where pretentiousness is left at the door but not at the expense of the facts. Superb! Perhaps my one slight gripe is that there were very few actual distillers on hand to provide the talks themselves. For gin geeks (I place myself firmly in that camp!) who want to hear a little more behind the process and distilling of the gins, getting some stories from the coal face, that may be a bit of a disappointment- but that shouldn’t overshadow what are insightful and entertaining sessions. A combination of 20 botanicals, including 5 types of peppercorns and green cardamom, provide a warming and aromatic flavour on the pallet, without being overly fierce or overpowering. Instead, the inclusion of yuzu, pink grapefruit, bergamot and lime provide a citrus balance that plays off against the sweetness of mulberries and the perfume of lavender. I’m usually not a fan of peppercorns as a garnish – in my experience they add nothing to the flavour of the gin & tonic and only serve to get stuck in my mouth every time I take a sip! But in this case, I have to admit to being hooked, as the addition of pink peppercorns to the perfect serve is a stroke of genius. With each burst peppercorn comes a warming sweetness that serves to enhance the aromatic spice from the gin. And with that, it was time to ‘dry off’ and reflect on what we’d seen. This really is an amazing venue, put on by a team who work incredibly hard to bring you a line up of gins from across the wide spectrum of the gin world. Gin Festival is the perfect introduction for anyone interested in gin and wanting to learn more, or even for those who are just looking for a good ‘knees up’ – there really is something for everyone. Throw in to the mix the fact that the festival pops up in some of the most stunning venues the UK has to offer, with Manchester Baths a personal standout, and you’ve got yourselves a winning combination. Like what you’ve read? Would you like to go to a Gin Festival? The hardest working gin fest are all over the UK throughout the year, and will no doubt be in your backyard soon! Checkout their website http://www.ginfestival.com or find the team across social media for more information and tickets! With many thanks to the Gin Festival team for inviting me along to blog at their Manchester festival, and for hooking us up with complementary credit on the day.